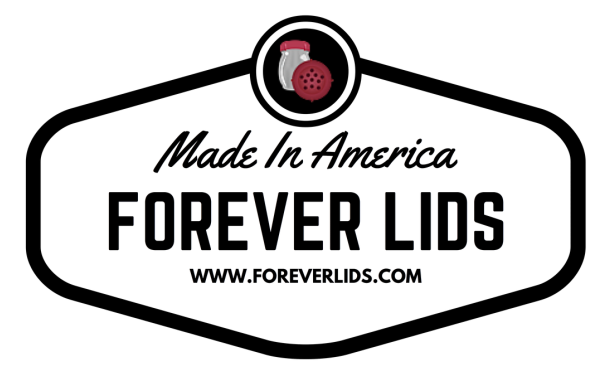 Gone are the days you need to replace a cheese shaker lid because of rust! Our shaker replacement plastic tops can be used in any kind of environment. It can be used in high humidity - with no rust or corrosion! 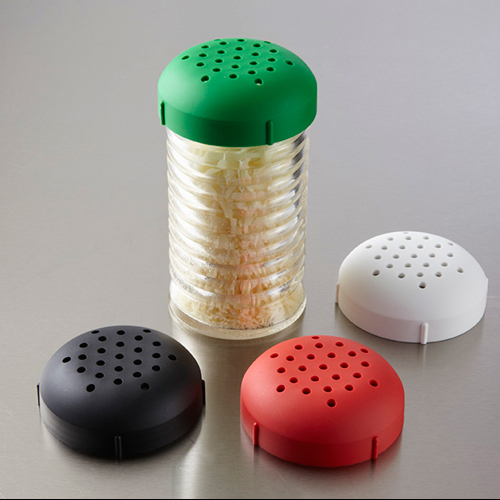 The lid is great for tabletop condiments such as grated cheeses or variety of toppings including: crushed red pepper, oregano, etc. All of our Products are Manufactured right here in the USA! ​​ It's estimated that 12 million Americans have food allergies. We can help Protect sensitive diners and your business from these incidences. Rust on cheese shaker lids can lead to a Food-borne illness. Ingesting rust can lead to unpleasant symptoms including nausea and vomiting. Please do not let this happen in your business. WE HAVE MULTIPLE PRODUCTS TO FIT YOUR NEEDS! 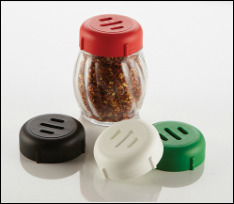 Our slotted lids are Great for tabletop condiments such as grated cheeses or various spices such as hot pepper flakes, oregano etc. 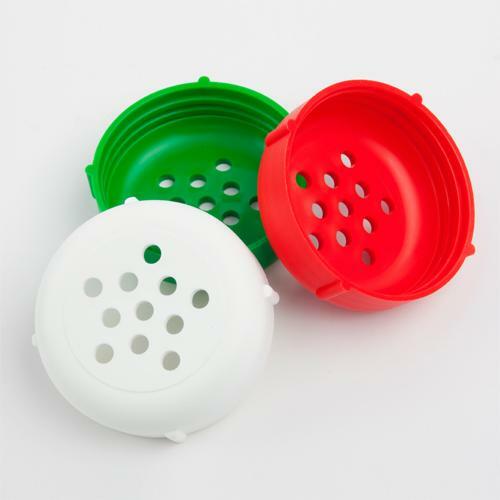 Our perforated lids are Great for tabletop condiments such as grated cheeses or various spices such as hot pepper flakes, oregano etc. Customcheeseshakers.com is proud to introduce a line of shakers with your choice of stock design options. With these flexile options our new line of stock design ready to shake shakers have a vast promotional and functional value in any application.